She was born in Delhi on 10th June 1987. She was the youngest of four daughters. After completing her Graduation from Shivaji College, Delhi, She also cleared the M.A. (Mass Com.) from Guru Jambheshwar University Hisar, Haryana. It was not unnatural for Ms. Rakhi Birla to get attracted to politics and social causes because social activism and patriotism runs in her blood. Her family was into social causes for four generations, from her great-grandfather and then grandfather who joined the struggle for India’s Independence. She had also been working in collaboration with social organisations for the cause of down trodden people. She worked for a private news channel before she joined politics. Her quest of life took a sharp turn when the Jan Lokpal Bill protest turned into a full-fledged movement. After working closely with Sh. Arvind Kejriwal during this period, she got attracted to cause and ultimately joined Aam Aadmi Party for making social changes through political intervention. Ms. Rakhi Birla contested Delhi Legislative Assembly Election, 2013 from Mangol Puri and defeated four times MLA Shri Raj Kumar Chauhan of Indian National Congress. She was sworn in as a Cabinet Minister of Women and Child, Social Welfare and Languages in Delhi Government and became the youngest ever Cabinet Minister of Delhi. 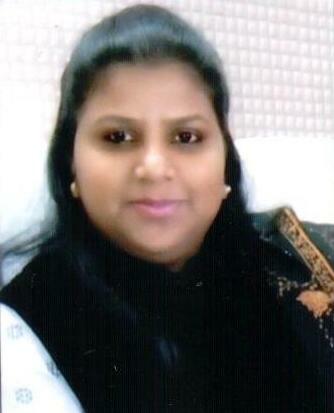 She was elected again as a Member of Sixth Delhi Legislative Assembly from Mangol Puri Assembly Constituency. Ms. Rakhi Birla lost to BJP’s Udit Raj in the 2014 Lok Sabha Election from North West Delhi. She got the highest number of votes among all the candidates all over India, who lost their election during Lok Sabha Election 2014. Ms. Rakhi Birla was elected as Deputy Speaker, Delhi Legislative Assembly on 10th June 2016. She is the youngest ever Deputy Speaker of Delhi Legislative Assembly. : - At present, Deputy Speaker, Delhi Vidhan Sabha since 10th June 2016.